Liposem Tablets are an effective drug for hypercholesterolemia. Our company is a proficient Supplier of Liposem Tablets from Punjab, India. 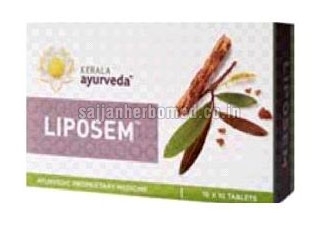 The Liposem Tablets are known to reduce LDL and are muscle and liver-friendly. Purely herbal, our Liposem Tablets correct disorders in fat metabolism, reduce LDL and triglycerides and reduce the risk of atherosclerosis. We are capable of delivering bulk orders of these tablets within stipulated time at reasonable prices. Dosage : 2 tablets thrice daily as mono therapy or as directed by physician.